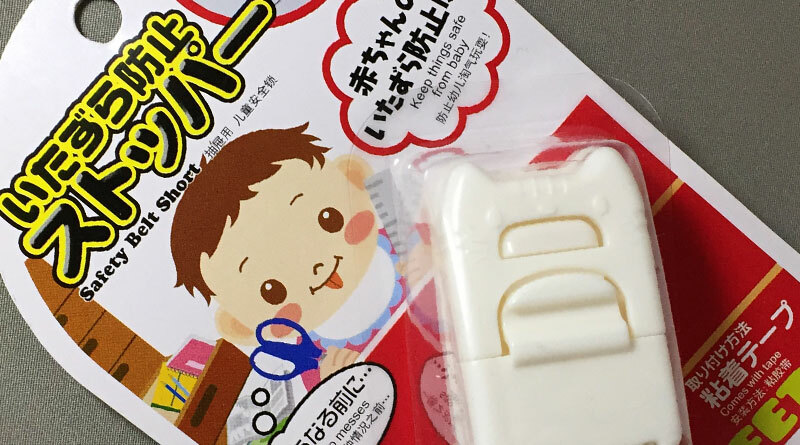 Visit our site to read and find out about cool, fun and affordable interior products that costs only 100 yen (yes only 100 yen!) from Japan. A Tenugui is a Japanese woven hand towel, often dyed and printed with patterns. 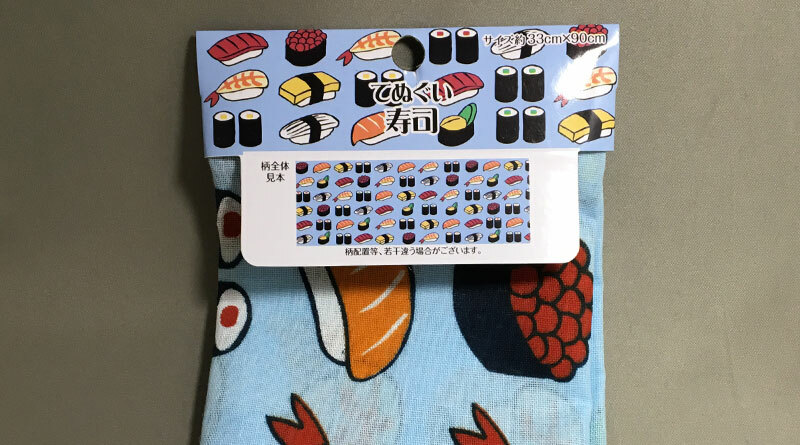 This Tenugui from Can★Do is a 90 cm x 33 cm size cotton cloth printed with different types of sushi on a light blue background! 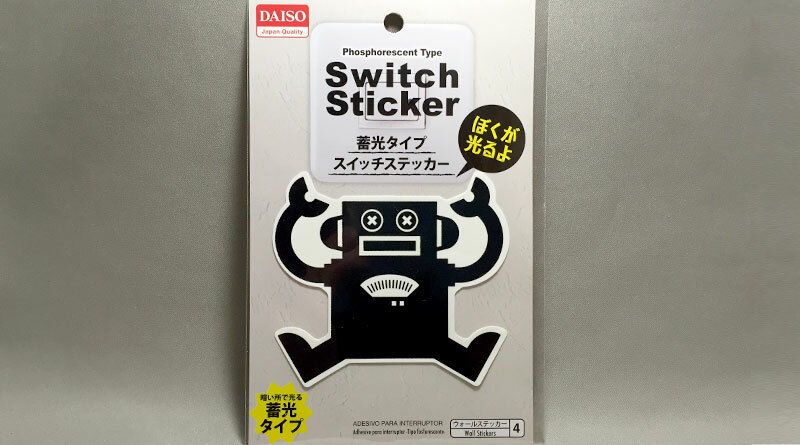 Brighten up your room with a robot design switch sticker. This is no ordinary wall art switch sticker, this sticker glows in the dark! 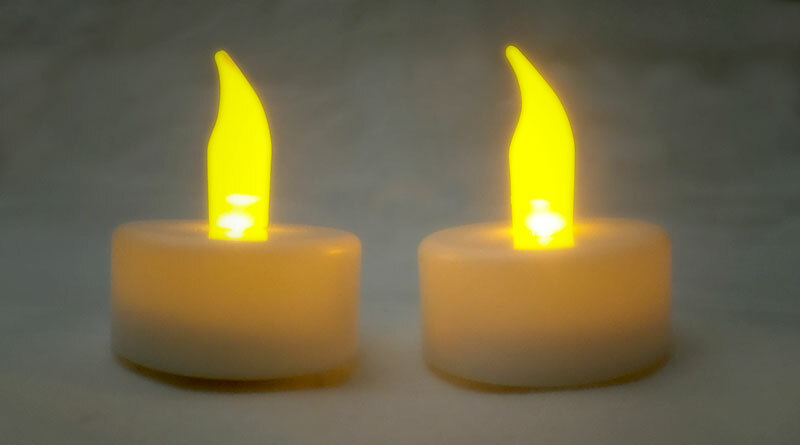 Charge with light and then watch the robot glow blue when the light is switched off. 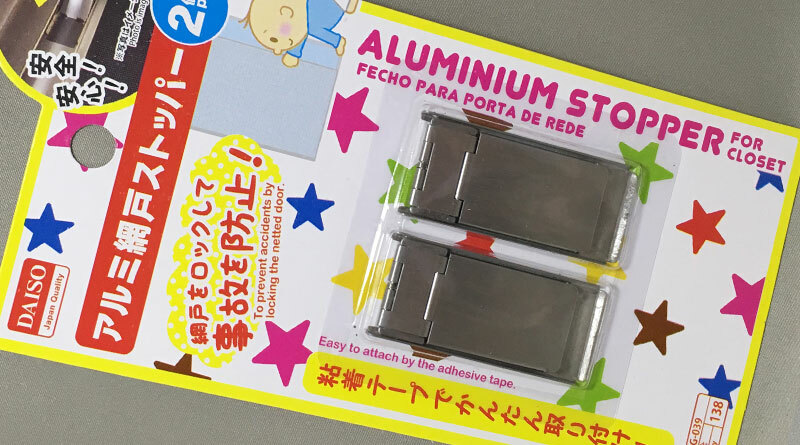 Although not very apparent from the name, this product is a child safety lock for cabinets, drawers, fridges etc., anything with a door that you don’t want your kid to open or jam their little cute fingers in. Do you have long excess cables everywhere? I do. 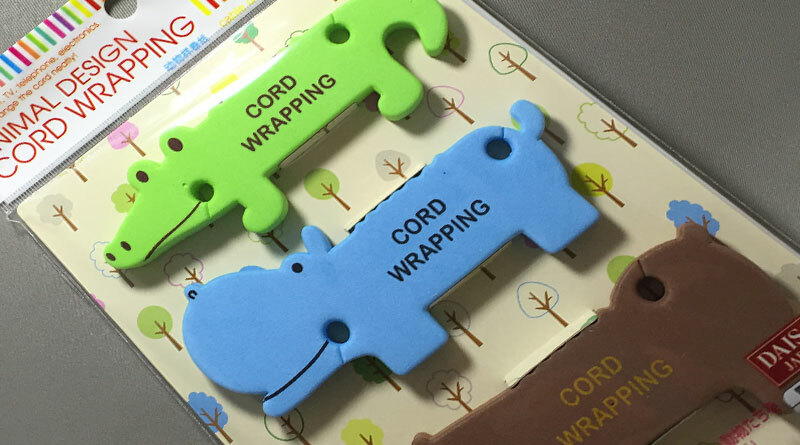 These Animal Design Cord Wrapping devices from Daiso are cord wraps shaped in cute colourful animals. Each set comes with 3 animals. This is a set of 4 multipurpose cord clips from Can Do. 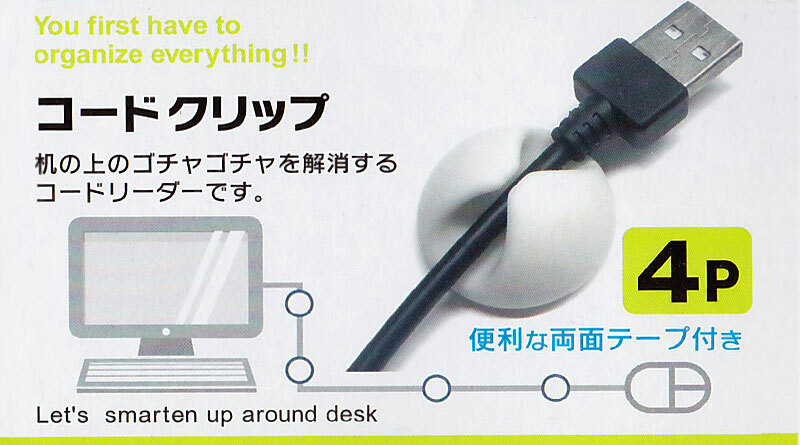 The set contains 2x Black and 2x White rubber cord clips that will keep your cables neat and organized. How else to hold small metallic items than with a blue monkey? This magnetic key holder shaped in a climbing monkey can be mounted on any magnetic surface. 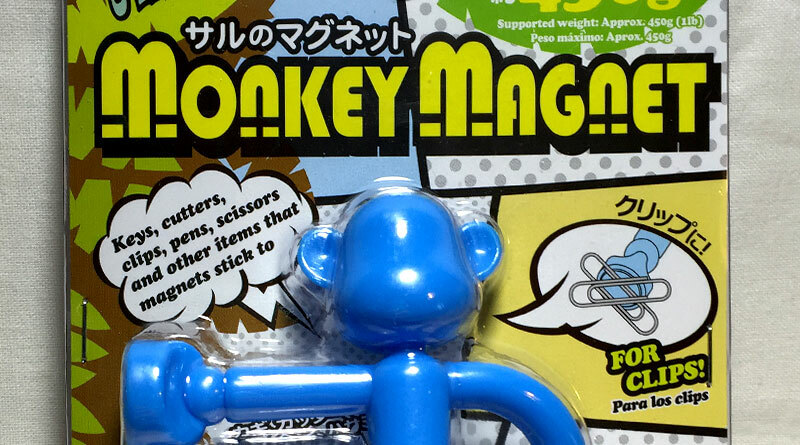 In Japan, most of the front doors are metallic, which is the ideal location for the Monkey Magnet.